The European Parliament and European Council intend to vote on the appointment of Laura Codruta Kovesi in the coming weeks. From Romania’s anti-corruption agency to Europe’s chief prosecutor: Laura Codruta Kovesi, Romania’s former head of the National Anti-Corruption Directorate (DNA) is the first choice to lead the European Public Prosecutor’s Office (EPPO). The European Parliament and European Council intend to vote on the appointment in the coming weeks. 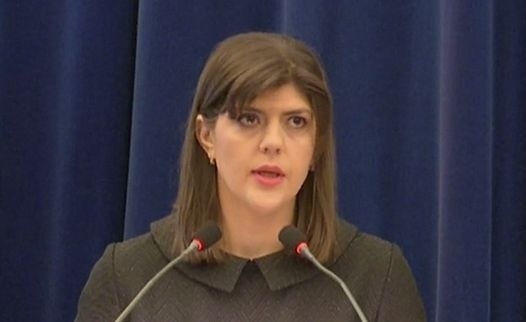 If 45-year-old Kovesi were successful it would mark a remarkable turnaround in her fortunes, following her dismissal last July after five years in charge of Romania’s national anti-corruption directorate (DNA). Reported The Irish Times. The country’s justice minister Tudorel Toader sacked her for alleged abuse of power, and President Klaus Iohannis reluctantly signed off on her dismissal after the constitutional court in Bucharest ruled that he could not block the decision. “I think the members of the selection commission do not know the abuses committed by Laura Codruta Kovesi to the detriment of citizens and the rule of law,” Toader said of her prospects of securing the high-profile EU job. “In France or in Germany, a prosecutor could not commit so many abuses because they would be removed from the judicial system,” he added. According to the Guardian, Toader’s comments turn the spotlight on his country’s pervasive corruption. Last November, the European Commission warned Romania the fight against corruption was going backwards, highlighting pressure on the DNA. Some European diplomats think Romania should be subject to the EU’s rule-of-law sanction procedure, if the government follows through with proposals for an amnesty to wipe the slate clean for politicians convicted of corruption.